Welcome to the Rams Forum here on the new and improved FootballsFuture forums. Any new posters, please sign in here and introduce yourselves. 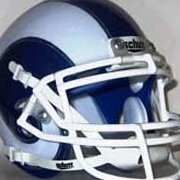 We've got a great community of Rams fans here from all over, and are always looking forward to more fans to joining up and sharing their opinions. For Vets, feel free to re-introduce yourself here, especially if you have changed names in the transfer. Follow this template to introduce yourself to your fellow posters. Alright, 7 questions guys. Follow my template, be as discreet or as open as you want. Remember, don't do anything that will reveal TOO MUCH information about yourself, and don't post any detailed pictures or videos of yourself either. Who is your favorite Rams player? Past or Present? : I should probably say my cousin who is in the HoF as a Ram (Elroy Hirsch), but I met him all of once when he was like 70 after he's already retired from coaching Wisconsin. So I've honestly got to say Jack Youngblood. 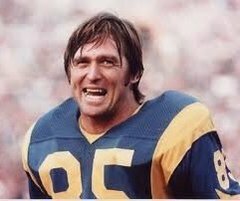 I never really got much of a chance to see him play, but before the Rams moved from LA, he was legitimately Mr. Ram - was out at a ton of fan events, big or small - and his intensity was just plain nuts. What do you do? : I teach high school English and am the associate chair of the English department at my school. I'm also starting a EdD (Doctorate) program this fall. What other teams are you a fan of? : California (don't give me any of the Los Angeles of Anaheim crap) Angels, Arsenal FC, Clippers, Blackhawks, and I may end up supporting LAFC in the MLS - haven't decided yet, but I've met a number of people associated with the club so far and they've all been class. Do you play sports? If you've hung up the cleats, inform us of your glory days when you used to be able to throw a pigskin a quarter-mile. : I played D1 college soccer. Before that football (strong safety/TE), soccer, and volleyball (defensive specialist; my high school team was ultra-competitive and you weren't playing front line unless you were 6'4" or taller - I'm 6'1"+) in high school; along with club soccer year round. Now that I'm going for my Doctorate, I'm having to give up playing in my indoor soccer league I've been in for the past 6 years, but I'm trying to time things right so that I can get back to coaching youth soccer around the time my twins are able to actually play competitively. What do you like to eat? : Lately it's been noodles - not pasta... noodles, especially Thai food. But barbecue is big with me, so are breakfast burritos and out-of-the-ordinary tacos. I rarely eat fast food - just stopped really having a taste for it. We'll see how long that lasts once my kids discover it. Why did you choose your username? : It's one of the more commonly held nicknames (Thanks Snoop!) for Long Beach, CA which is where I used to live when I first joined FF and where I still work. 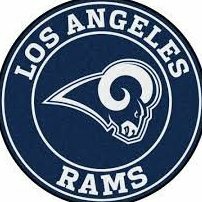 Who is your favorite Rams player? Past or Present? : That guy in my avatar. They just don't make em like that anymore. What other teams are you a fan of? : Dodgers, The Arsenal and Reno 1868's. I was a Laker fan when I watched the NBA but haven't really watched it about a decade. Don't really have an MLS team. Do you play sports? If you've hung up the cleats, inform us of your glory days when you used to be able to throw a pigskin a quarter-mile. : I was a keeper when I played soccer for many years. Who is your dream girl? (those that are married, go ahead and say your wife! That way she doesn't beat you senseless when she browses through you history): It doesn't get much better than Kate Beckinsale. What do you like to eat? : Pizza and a good beer is a hard meal to pass up. What other hobbies do you have? : Reading and writing, I have a couple things I do volunteer work with. I'll make some popcorn and watch most any cheesy 70's, 80's or 90's scifi fantasy movie. Why did you choose your username? : OldSchool was taken, which I go by on other Rams boards so this one just happened. Don't really like it though. Name one really cool event in your life. : Went to a lot of the 1984 Olympic's, I have an aunt and uncle that live in SoCal and spent a lot of time down there in summers growing up (the major reason I root for so many LA teams even though I never lived there). We went to the bronze medal soccer match and even though I was already playing at that time watching such quality play hooked me for life on the sport. Who is your favorite Rams player? Past or Present? : Past: As a kid growing up I really like Jim Everett, Flipper Anderson, Kevin Greene and Eric Dickerson. Middle years I was a big fan of Kurt Warner, Marhsall Faulk and Torry Holt. Today, it's Todd Gurley, Cooper Kupp and Aaron Donald. Do you play sports? If you've hung up the cleats, inform us of your glory days when you used to be able to throw a pigskin a quarter-mile. : Played Football (QB) and Baseball (SS/2nd) all through High School . Played Junior College Football at Shasta College in Northern California 2001-2003 as a WR/TE. In the past: Jack Youngblood. Though I had a pretty good man-crush on Vince Ferragamo when I was a wee lad. Present: Jared Goff. No doubt. He's gonna lead us to the promised land! I am a radiation therapist. The Portland Trailblazers. The L.A. Dodgers. The Oregon Ducks. I played football (defensive line), baseball (pitcher or OF) , soccer (defender) and basketball (bench warmer) sporadically until about the 9th grade. Milanya Vayntrub. Cute. Thick. Great sense of humor. Kind of like my wife. Shellfish. Mediterranean food. Mexican food. Asian food. Ask me in PM if you really want to know. One cool night involved new friends, alcohol, strip clubs, pasties, a drunken road trip to St. Louis, a fist fight, prostitutes, more strip clubs, more prostitutes, stolen wallets, trying to run over prostitutes with a car, flat tires and oaths to never speak of the night again. An oath we all failed to hold because it was just too good to keep to ourselves. In common with LBC: Grew in in LB (well... LB, Cerritos, Bellflower, Norwalk, La Mirada, Paramount and a few more). My daughter is going to start school at Appalachian State this fall to be an english teacher. And I bet we both played AYSO when we were tikes. In common with RamPackFan: Whats up my RT brother!!! Nice! What's up, dude!! haha.. I am ALSO originally from Long Beach, California! I was born at Long Beach Memorial in 1979! ha...lived there for a few years then moved up to Northern California (Mount Shasta) a few years later ( home of Jason Sehorn ). Most of all my family still lives in the area (Anaheim/Orange County) and Whittier/La Habra area. I was formerly SJax39 on the last forum (not S-jax39, joined before but posted much less), but my email address was too old to use to sign back in. Who is your favorite Rams player? Past or Present? 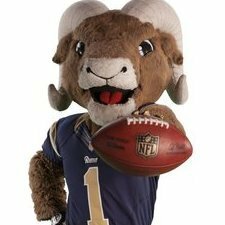 : It's a coin flip between Marshall Faulk and Steven Jackson. I'm going to say Jackson as I was able to watch his entire career. What do you do? : I work in a pharmaceutical lab. What other teams are you a fan of? : St. Louis Cardinals and Penn State sports. Do you play sports? If you've hung up the cleats, inform us of your glory days when you used to be able to throw a pigskin a quarter-mile. : I play football (only flag as I'm getting older), but just recently broke my ankle making a catch. Probably going to come back for one more season to prove I can do it and then hang them up. Who is your dream girl? (those that are married, go ahead and say your wife! That way she doesn't beat you senseless when she browses through you history): 100% my girlfriend. What do you like to eat? : Meat and beer. What other hobbies do you have? : Working out, watching movies, and Game of Thrones. Why did you choose your username? : Because Jon is going to denounce the Targaryen name are choose to be legitimized as a Stark, and all will be right with the world. Name one really cool event in your life. : Just bought my first house, which was a long road but was amazing once it was finally settled. Oh snap! We have a Strong Beach crew up in here! Now tell me you played AYSO soccer when you were a little kid and we are all up in this! Man, youre crazy. He isnt renouncing or denouncing the Targaryen name. That dude is going to marry Dany. It's the only way to bring the north and south back together peacefully. It's coming as sure as winter. Congrats on the house!!! There isnt much out there that is more stressful. Especially if you (or more importantly, the wife) really like the house and location. But you did it. And now youre making money rather than giving it away! LOL.. I did not play soccer at all growing up......I actually moved up north before I was 5 years old I think. Who is your favorite Rams player? Past or Present? : I'd say Marshall Faulk. In my early years of being a Rams fan I basically worshipped him. What do you do? : I work at a Harley Davidson dealership for my dad. Right now I'm in the clothing department but I may be transitioning into the parts department soon. What other teams are you a fan of? : The Virginia Tech Hokies. Live close to the school and been to games and been a fan my whole life. I try to keep up with USMNT the best I can also. Do you play sports? If you've hung up the cleats, inform us of your glory days when you used to be able to throw a pigskin a quarter-mile. : Haven't played competitive sports since high school. Soccer was the sport I prioritized most. I'd like to think I was pretty solid. Who is your dream girl? (those that are married, go ahead and say your wife! That way she doesn't beat you senseless when she browses through you history): I always have trouble answering questions like this. I feel like it's always changing and there's never been that specific girl that sticks. Lately I've started to develop a thing for Cate Blanchett. Great combo of looks and acting ability. What do you like to eat? : A lot of things. There's not much I won't eat. I really hate olives though and I've never understood the appeal of oysters. What other hobbies do you have? : I'm a really big movie buff. I watch a lot of movies and I'm pretty obsessive about it. The last few years I've tracked literally every movie I've watched. My blu ray/DVD collection is over 2000. I'd also start like to start riding my bike more often. Why did you choose your username? : Because it had Ram in it, plus because of the movie Super Troopers. I don't really like my username. I would definitely change it if I could. Name one really cool event in your life. It's hard to name one. I feel like I've done a number of cool things. Back when I was about 15 I was in a foreign exchange program where I spent about three weeks of the summer with a family from Barcelona. As of the last few years, I've really gotten into EDM and I'll do about 3-4 music festivals a year.